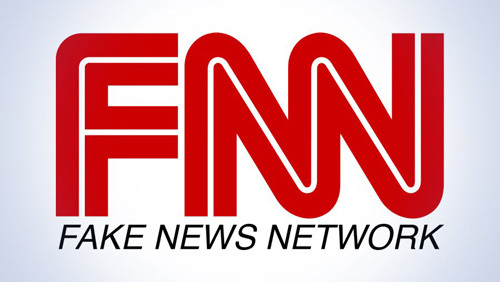 After an incredibly bad couple of weeks, in which it had to retract a story, saw veteran reporters resign, get saddled again with the fake news mantra and have some of its producers and contributors outed in saying the Trump-Russia “collusion” story is bogus, CNN may also be in a bit of legal trouble. Well, actually, they may be in a lot of legal trouble. Stung by President Donald J. Trump’s tweet of a meme in which he is shown during his WWE wrestling days as beating up a man whose face is hidden by a CNN logo — and no doubt angered by it — the network delved into who was responsible for creating the meme, and actually found out who it was, according to the network. “Should CNN reveal name of Reddit user who made Trump wrestling video? Had a lot of bigoted and hateful material on page and website,” Cuomo tweeted. The Reddit user eventually apologized, but that didn’t seem to matter. After posting his apology, “HanA**holeSolo” called CNN’s KFile and confirmed his identity. In the interview, “HanA**holeSolo” sounded nervous about his identity being revealed and asked not to be named out of fear for his personal safety and for the public embarrassment it would bring him and his family. CNN is not publishing “HanA**holeSolo’s” name because he is a private citizen who has issued an extensive statement of apology, showed his remorse by saying he has taken down all his offending posts, and because he said he is not going to repeat this ugly behavior on social media again. In addition, he said his statement could serve as an example for others not to do the same. So in other words, if this person does not continue to ‘behave’ in a manner that CNN approves of, they will out him. Isn’t that blackmail? Or extortion, as defined by the law? If the network pays a hefty price for its alleged crimes, that would be sweet poetic justice, given all the times it has been wrong about the president, his staff, and his administration. And it would send a message to the rest of the Trump-hating “mainstream” media that Trump Derangement Syndrome can be costly.